Free music loops and sound effects. Basic stock geometry shapes. The rest is done by me. Exploration shall be rewarded accordingly! Here are some criticisms, however I do recognize that doing a metroidvania in a game jam is in itself quite a feat indeed! Platforming and player movement is key in a metroidvania. Dashing and double jumping doesn't work half of the time - its based on the beat, but its not clearly communicated what is the window of opportunity though. Would be good to give players a little more leeway here, and rather than make it not work, maybe make it work less effectively? Wall jumping generally isn't very reliable (its just a mashing of buttons for me) and doesn't seem to require following the beat. The camera feels a little jerky (zooming out when falling a distance) - maybe limiting the fall speed and moving the camera in tandem would work better. Didn't like the general feel of the smoke areas which prevent you from jumping - its not obvious why smoke prevents you from jumping, and you just slow down the player movement. If it was presented as a sticky goop i'd be sold on the idea though. Its not immediately obvious what harms you or benefits you from the minimalistic presentation, only until halfway through. Some hurt you, some bounce you back. Maybe color code it? At least the enemies need to look threatening enough. General rule of thumb in a metroidvania-like game in my view: to teach players new skills in a safe space where they cannot die. There were some areas where the enemies just overwhelmed me before I learnt stuff. You did a great job of guiding players to learn new skills though, and glad that dying and respawning isn't too much of a deal. Saxophone was a little counterintuitive - being spread over 2 powerups? Suggest to let the player kill stuff - as it didn't really give me the power trip that usually comes with a metroidvania (where you grow stronger over time). Or maybe I didn't complete it all the way through? Got the moustache and reached the signboard but didn't find a way into the area with a bunch of collectibles. 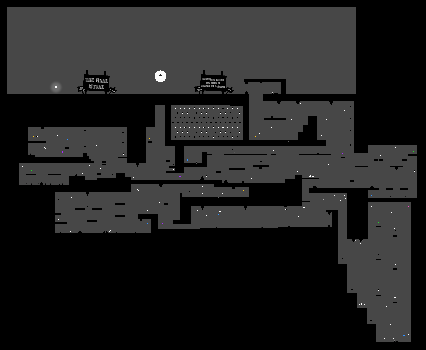 The minimalistic style makes the exploration feel rather monotonous, although understandable for a game jam. I loved the boulder segment though! 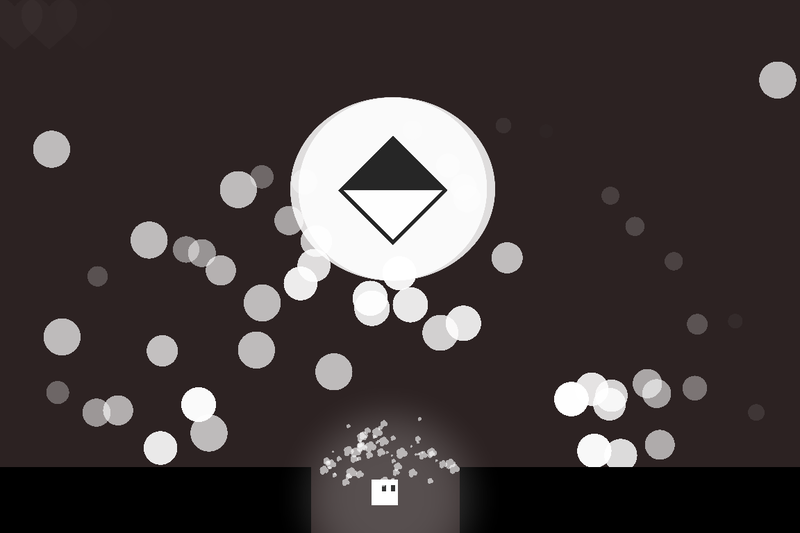 You could have a look at the game 140 for ideas on how to make a minimalistic music game look really good. That said, the idea of unlocking new layers of music to cause level changes is a really cool idea for a metroidvania. Also, I liked the platforms moving to the beat, they remind me of the music rooms in Fez. All in all, I did have fun! Yay thanks so much for your feedback! I still struggle on how to make a good tutorial for this kind of mechanic, I did try to have a tutorial button under the player but its not obvious enough when I watch the streams. 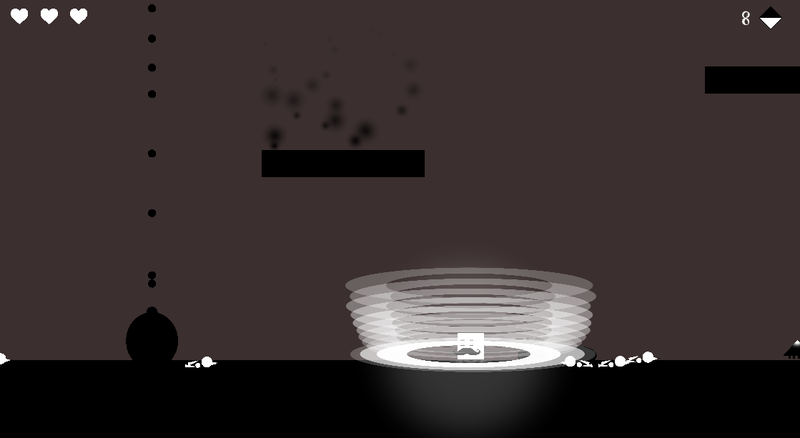 I also thought of making the jumps and dash less effectively off-beat, but then the level design would need much more thinking than not executing the action. Will definitely think more about that. I also just have a patch to make players more powerful thanks to your feedback: kill enemies by contact. This game satisfies my will to make a metroidvania but I don't think I will make another one for a game jam haha. Game-design wise, I get you on the rule of thumb. I didnt have enough time to design all the rooms for that purpose so I squeezed them all in. Would definitely enlarge the world for practicing rooms if I work more on this. Saxophone was for 2 powerups because they are both jumps, but also Im afraid players get overwhelmed with too many tracks to listen. I will surely revisit 140 for some more design choices. I also hear you on the graphical representation of the black thingy, enemies and other things in the game, just poor design choices. I will improve that and populate the world with more details like vines and all if I work more on it. Thank you very very much for leaving much feedback, it means a lot to me. I see you're busy with your entry in both the Music game jam and Brackeys game jam, good luck with both of your entries!! Well, this was awesome. I love me a metroidvanian a lot so thanks! The only issues I had were that sometimes, it wasn't completely clear when the timing needed to happen for the mechanics. So it felt a bit frustrating at times... Also, I wasn't sure how to use the powerups and I thought I saw some duplicates so I dunno what that's about. I watched the stream again, such a pity I missed it. Thank you very much for playing all the way through. There was definitely a lot of useful feedback to the game that I got just by watching you play. Man, I think you're the first one to get the mustache, I was super hyped for it =D. I totally see the frustration with the timing, also the level design needs some tweaking as I see you get stuck at some areas. I get you with the powerups, most of them is for navigation and only ground pound and dash is to deal damage, and those powerups are not very exciting anyway. Making a metroid is not easy, that's what I learn from this project. Again, thank you very much for playing not only my game but others on the stream, it definitely gives a lot more input for the devs to improve their games. Keep it up! An awesome concept ruined buy huge design problems. You're right, your game deserve a more precise feedback. 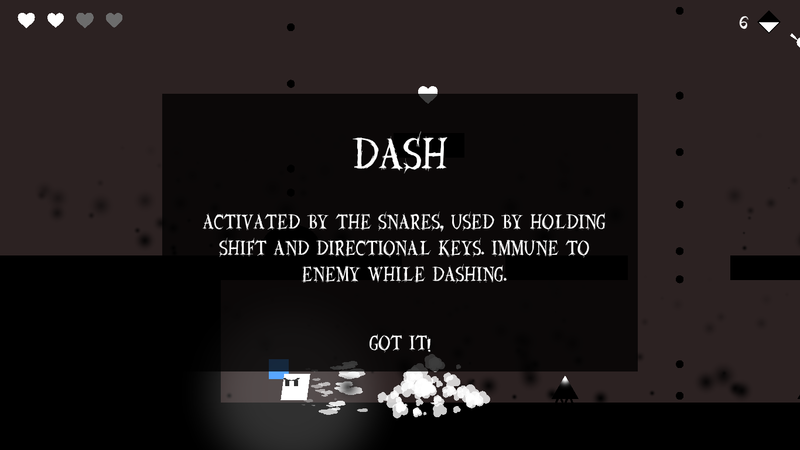 The main character isn't easy to control, there is no invincibility frames when you get hit ( and you can lose all your life in 5 seconds ), the level design could be improved, I don't understand why I must press Shift THEN the direction to dash (and not the opposite ), the wall jump say that I must listen to the saxo and there is no saxo and finally, I find the revive system suite weird : I understood that I was gaining life when I was pressing the key in rythm, but I just ended up pressing all the keys on my keyboard like a moron each time I died. And I'm really sorry to tell you all that, because I really like this concept, and I would love to see it in a finished game. I get you, that is a lot of input. and everything you said was correct. I know exactly what you're talking about with the wall jump and the sax, it was definitely a design flaw, you must have been soft locked in that room. Invincibility frame is something I didn't even think of, I understand why it could be frustrating when dying a lot. Lack of guidance when reviving I get you. I think you get a lot of the corner cases in the game that I haven't accounted for, but that's really good to know. I will definitely try to tweak the soft-lock situation for future players. Your feedback was very informative and I truely appreciate it! Many thanks!! That's quite an impressive entry! The level-design is really great, and the use of music to move the environment and give a feeling of progress is nice. The rythm aspect in the controls, though, doesn't feel that good. Especially the double jump and the wall jump, where it's not clear where the button has to be pressed. And more than often, in the heat of the action, I would just smash space bar and pray. But this didn't prevent the game to be really fun to complete! Congrats! Thanks for playing and giving feedback. I did have a tolerance for pressing on the beat, it actually register the beat before and after as the correct beat so you can press it a bit early or late, but still it is quite fast pace at times and you want to be able to react immediately instead of waiting for the beat. In my ideal gameplay it is very clear that you jump on the beat of the saxophone track and you need to listen to get it down right, and I tried to reinforce it with the tutorial. But I do realize after getting all the feedback that forcing precise action on the beat is not the best way to go about making a rhythm game. It just makes things finicky. Regardless, I think it demonstrates a good idea, but not the best implementation. Again, thanks for leaving some feedback!! Really unique ideas in this game, and quite polished. A suggestion for improvement would be regarding the camera - currently it leaves very little space infront of the player in whatever direction they're currently moving in, requring that the player stops for a moment to let it catch up and reveal what lies ahead. Other than that, great job! Thanks for the feedback, I do want to put on a better camera, a quick cinemachine camera would do but didnt have time to squeeze in. Thanks for playing the game! Wow! That's a great game! I`m a huge fan of hollow knight, and could see the references, specially from the 'mosquito' things. The rythm movement is very cool, but it's not quite clear. I get the idea that you should listen to the instruments to perform certain actions, but sometimes i feel that it's actually on the offbeat. Like, the double jump seems to work on the beat that the saxophone is NOT playing. Also i was never able to time the wall jump, i've used it just by pressing very quickly. The main thing you should actually update asap is that messages from pickups disappear too quickly. Maybe add another key just to close them? Nonetheless, great job! Hope to see it further developed! Thanks for your feedback, I knew things are not that clear and I probably need a tutorial for that. Regarding the message, the game actually pause and you need to press a key to make it disappear, but I think people might press it mistakenly. Will change that to pressing space bar to disappear. I will update the rhythm tutorial, just a quick change from the death tutorial. Again, thanks for playing! !